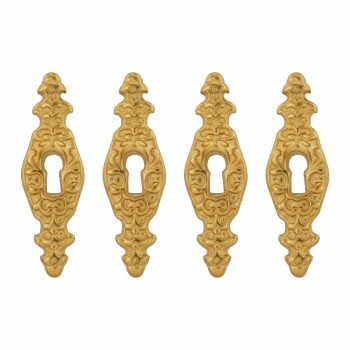 (4) pieces 4 Pack Keyhole Covers, Escutcheons. 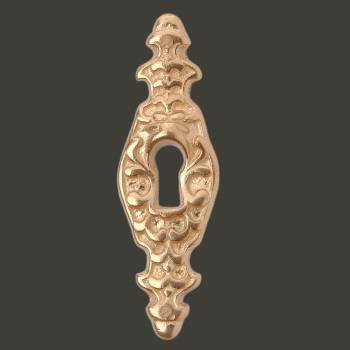 These brass escutcheons are crafted of the finest brass material. 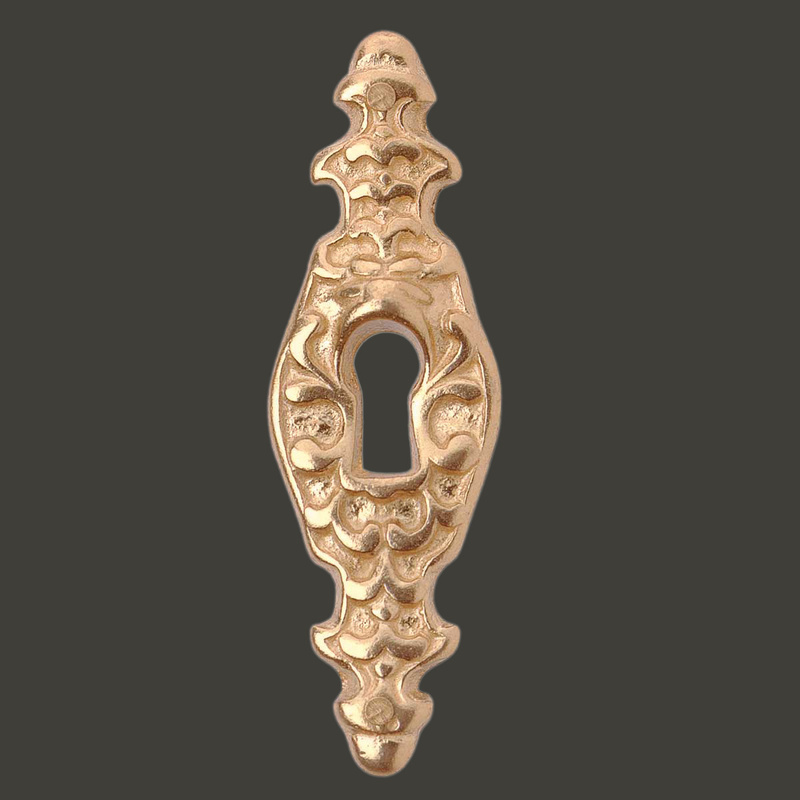 Polished and lacquered these keyhole escutcheons retain their gleaming finish for years to come. 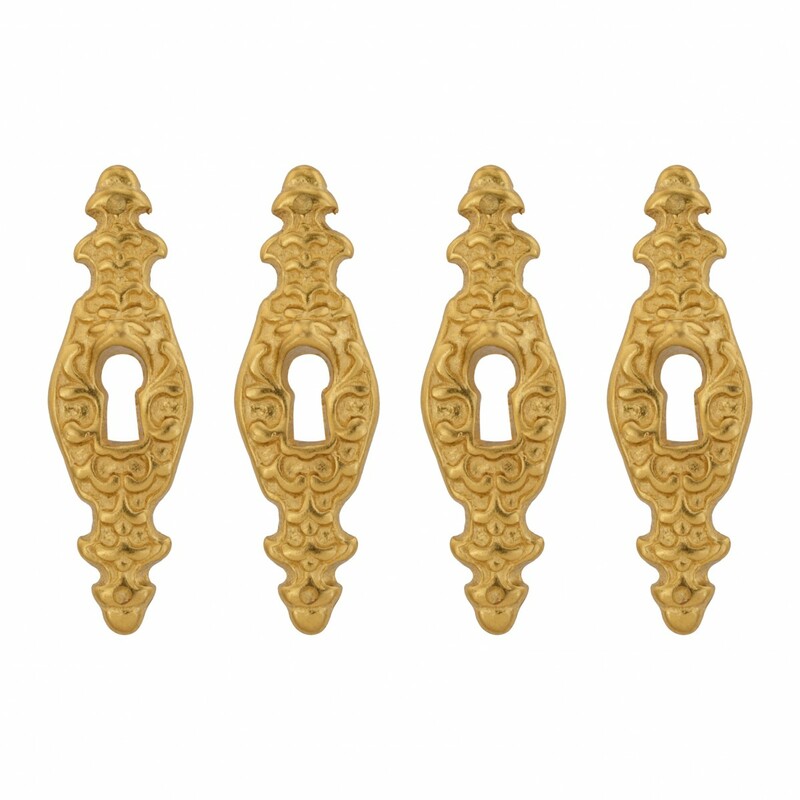 Update furniture hardware with antique escutcheons for that Old Colonial charm. Affordably reclaim furniture and doors with replacement escutcheons. Easily hide existing damage and protect wood around keyholes. Escutcheon plate mounting screws included. Measures 3 1/8 H x 7/8 W and the boring is 2 5/8 inch.